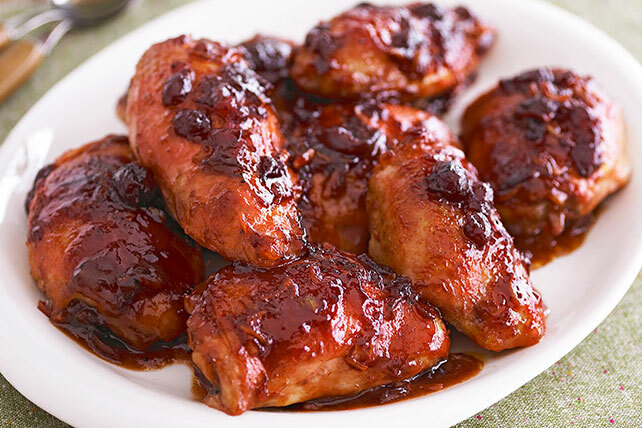 This unusual combination of ingredients results in a wonderful sweet-tangy sauce that’s perfect for chicken. Bake 50 min. or until chicken is done (170°F). Mix and match recipe using the chicken pieces you have on hand or that are on sale. Use all breasts, all thighs or a combination of both. Each breast half is one serving, while two thighs are a serving.